We’d love your help. Let us know what’s wrong with this preview of Down Among the Sticks and Bones by Seanan McGuire. Jacqueline was her mother’s perfect daughter—polite and quiet, always dressed as a princess. If her mother was sometimes a little strict, it’s because crafting the perfect daughter takes discipline Twin sisters Jack and Jill were seventeen when they found their way home and were packed off to Eleanor West’s Home for Wayward Children. To ask other readers questions about Down Among the Sticks and Bones, please sign up. Sandra It can, but it really ends with WTF?! If you do. I just finished it and it was good but I feel like I walked headfirst into a door. OK, I need to know what else of McGuire's to read. I adored this and EHaD and liked Dusk or Dark or Dawn or Day. Where do I go next? ladymurmur Sparrow Hill Road, definitely - especially if you enjoyed Dusk or Dark or Dawn of Day. I agree with everything Alexei said, plus I wholeheartedly…moreSparrow Hill Road, definitely - especially if you enjoyed Dusk or Dark or Dawn of Day. I love McGuire's dark little fairy tales so so much. 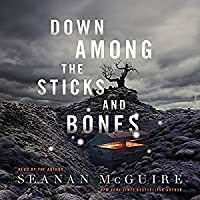 I was captivated by Every Heart a Doorway last year, and couldn't wait to get into more of the author's weirdness with Down Among the Sticks and Bones. It doesn't disappoint. This second in the series is a completely new story, so it can be easily read as a standalone. But also has all the unsettling atmosphere of its predecessor. In this book, Jacqueline and Jillian (or Jack and Jill) have been brought up to fit a mold created by their parents. Jacqueline-- her mother's pretty princess, who wears pink dresses and never plays outside where she might get *gasp* dirty. And Jillian-- the short-haired tomboy to replace the boy her father wanted but never got. This is how they've always known it. But as they get older they start to wonder a single, old question: why? That's when they find the impossible staircase with the door that disappears behind them. That's when they enter a different world - one of magic and death and different paths. It's both an eerie, dark fairy tale and a takedown of ideas about what it means to be a girl. Because, of course, in the end, there is no one way to be a girl. And you can make a girl wear a dress, just as you can make a girl wear jeans and cut her hair, but that doesn't change anything. Not really. Not where it counts. It's a short, fast read, full of beautiful writing. The impression left by it should just about see me through until the next book - Beneath the Sugar Sky. But if the author wants to write faster, then that's good with me too. I absolutely love the worlds that Seanan McGuire creates and the overall concepts of her novels, but both this and Every Heart a Doorway fell just a little bit flat for me. This isn't because of her writing style, which is beautiful, but simply because the books are too dang short for me! I will say that I enjoyed this more than Every Heart a Doorway as the plot was more focused. I actually was really loving it and invested in the story! BUT IT WAS TOO SHORT. This led to several instances of bein I absolutely love the worlds that Seanan McGuire creates and the overall concepts of her novels, but both this and Every Heart a Doorway fell just a little bit flat for me. This isn't because of her writing style, which is beautiful, but simply because the books are too dang short for me! I will say that I enjoyed this more than Every Heart a Doorway as the plot was more focused. I actually was really loving it and invested in the story! BUT IT WAS TOO SHORT. This led to several instances of being told about a plot point rather than seeing it for ourselves, such as (view spoiler)[Alexis apparently telling Jack that she bad for Jill, which caused Jack to eventually save her life?? (hide spoiler)]. If this was only 100 pages longer or so and we were able to experience and understand everything from the character's relationships to the magic/science system first-hand rather than being told, I could easily have given it 5 stars. This was still very enjoyable despite my complaints, and I do recommend this series if you want a quick fairytale-like read! This book is beyond words. No amount of word combinations I could possibly string together could do this book justice. This series is truly a gift from above, and I can't urge you enough to drop any and everything you're reading to pick up this or Every Heart a Doorway. I didn't think it would be possible, but I actually enjoyed Down Among the Sticks and Bones more than Every Heart a Doorway. Once I turned that last page, I immediately ran to my bookshelves and read Every Heart a Doorway. Then, I just laid there on the ground in awe, while trying to convince myself to not reread Down Among the Sticks and Bones at 2 o'clock in the morning. Seriously, this series is that amazing. If you've read Every Heart a Doorway then you know how Jack and Jill's story ends in that book, so I was absolutely ecstatic when I found out that the next book in this series was their back-story about their magical world. The twin sisters' doorway is very different than Nancy's in Every Heart a Doorway. Their doorway, the Moors, is a place of neutral territory surrounded by vampires, werewolves, gargoyles, Drowned God worshipers, and more in the paranormal vein. And a few individuals in the Moors are very excited when children stumble through from portals from different worlds. The tone of this book just feels so dark and eerie, while also being so magical and lovely. My body feels such a vast array of feelings and emotions reading Seanan McGuire's work. The writing is so atmospheric; you will feel like you stumbled upon your own doorway. The discussion on gender roles and the impact they have when we force them on our children, sometimes knowingly and other times unknowingly, is so important. It's okay to be a tom-boy, it's okay to be a girly-girl, and, most importantly, it's okay to be both. We should never be defined by the world's gender stereotypes. This is something that I have personally struggled with a lot growing up, and I could write about this topic until my fingers bled, but Seanan McGuire perfectly executes this point in such a perfectly crafted story that is under 200 pages! I am seriously so awestruck. There is also amazing representation and explanations on how it feels to suffer from Mysophobia/Germaphobia. I actually do not think I've ever read a book about someone dealing with their Mysophobia, and it just made me love and admire Down Among the Sticks and Bones even more. If you've read Every Heart a Doorway you will know that there is lesbian representation in here, but the depiction of first love was something I wasn't expecting, and it was so beautiful I can't possibly put it into words. I, too, truly loved the Moors and wasn't ready to leave. I loved the village and the feel of this magical world. I loved seeing Jack grow into what she wanted to be, while seeing Jill grow into what could happen if your needs and wants are repressed to a dangerous point. I loved the representation and all of the feelings that Seanan McGuire was able to evoke from me. I loved this book and these characters, and I will cherish this story forever, while trying to get everyone I come in contact with to read it. Re-read 2/6/2019: Honestly Jack might be one of my favorite characters of all time. This is hands down my favorite of the series bc it is just SO GOOOOOOOD. Re-read 8/1/17: YES, I did re-read this two days after my original read. I loved it THAT much. Also I w Re-read 2/6/2019: Honestly Jack might be one of my favorite characters of all time. This is hands down my favorite of the series bc it is just SO GOOOOOOOD. Re-read 8/1/17: YES, I did re-read this two days after my original read. I loved it THAT much. Also I was in line for the audiobook to listen to during BTAT but didn't get approved until just today so I decided to re-listen while tidying up my house. This was just as, if not more, fantastic the second time around. Pardon me while I read everything Seanan McGuire has ever written. Original read 7/29/17: BooktubeAThon Challenge #6: Read 7 books (okay I know this is only my 6th book but this doesn't apply to a challenge for me. Leave me alone!!!!) - COMPLETE! according to miranda, between her two author-personas; Seanan McGuire and Mira Grant, this woman has SIX books coming out in 2017. which is crazy. and some of them, like this one, are on the short side, but they are in no way flimsy, tossed-off sketches. the amount of thick detail and lingering emotional resonance here’ll make your head spin. ‘cuz while this one may be short, it sure ain’t sweet. i mean, it’s sweet in the “OH MY GOD, MY HEART IS BREAKING” way that appe NOW AVAILABLE!!! i mean, it’s sweet in the “OH MY GOD, MY HEART IS BREAKING” way that appeals to me as a reader, but it isn’t a sugar and spice fairytale - this one’s got teeth for miles. it takes place before the events of Every Heart a Doorway, and tells of the circumstances that brought jack and jill to eleanor west's home for wayward children. fans of that book already know the basic outline of their journey, but here we get the entire story in all its blood-soaked majesty. like most of her work, this is both an excellently-built story that entertains, but it also delivers a serious message it its focus on issues of identity - from the familial and personal to identities based in gender or sexuality; what is imposed, what is chosen, what is inherent. there’s maybe a smidgen too much of a preachifying tone to this exploration here, and it’s drilled in a bit too hard and often for such a short piece, but it’s interesting and important enough to bear repeating for people who don’t get it the first time, and repetition is a genre standard of the fairytale, so it’s not wholly off-putting, even if it does obstruct the narrative flow a bit. apart from that, it’s truly masterful - the way character is shaped by the tyranny of parental expectations and how either submission to or rebellion against these expectations informs future choices and values, the bone-deep loyalty of sisters despite diverging paths, first love, loss, jealousy; everything that makes a person tick, where each of those ticks signifies the bomb’s inevitable explosion. it’s a perfect follow-up to Every Heart a Doorway, and it’s maybe a vegetable-peeling’s width less awesome, but it’s a welcome explanation of these characters’ backstory and could absolutely work as a standalone story. however, if you haven’t read every heart, you’re really missing out on something special. OH MY GOD COVER REVEAL IS SPECTACULAR!!! 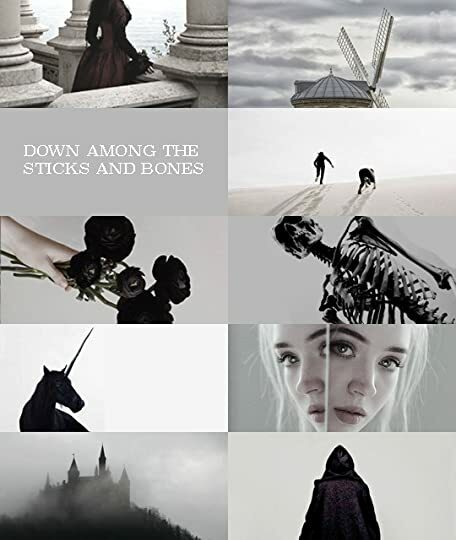 Since Down Among the Sticks and Bones is a prequel to Every Heart a Doorway and I was going into it already knowing where the story of Jack and Jill ends in this fantasy portal story, I was initially a little reluctant to pick it up. But it surprised me! Seanan McGuire tells this story so engagingly that I couldn’t help but savor it, despite some horrifying and heartbreaking aspects of it. I actually liked it better than Doorway … the story here made much more sense than the bizarre murder mystery in Doorway, and has a less timeworn plot. Seanan McGuire spends the first quarter of the book relating how Jacqueline and Jillian are raised, or mis-raised, by their well-to-do parents, a story that could be painful and tedious if McGuire didn’t tell it with such wit and relish. Their parents, Chester and Serena Wolcott, are caught up in their own concerns, and decide to have children only because they envy all of the attention their friends’ children get when their parents periodically bring them to work, dressed up and on best behavior. They have no idea what they’re getting into, and once they get into it, they do it with complete incompetence. Jacqueline becomes her mother’s project, always dolled up in frilly princess dresses, while Jillian is encouraged by her father to be a rough-and-tumble tomboy. But the girls don’t fit into these rigid molds quite as easily as their parents think. One day, when the girls are twelve, they open an old trunk in an empty bedroom and find a long, impossible stairway that leads them to a fantastic land, where their love for each other (already strained) will be tested in terrible new ways, and they will be faced with choices that children shouldn’t have to make, and events and people that will divide them. There are worlds built on rainbows and worlds built on rain. There are worlds of pure mathematics, where every number chimes like crystal as it rolls into reality. There are worlds of light and worlds of darkness, worlds of rhyme and worlds of reason, and worlds where the only thing that matters is the goodness in a hero’s heart. The Moors are none of those things. The Moors exist in eternal twilight, in the pause between the lightning strike and the resurrection. They are a place of endless scientific experimentation, of monstrous beauty, and of terrible consequences. The nicknames Jack and Jill ― which their parents refused to acknowledge ― are backwards from the roles the twins are given in their youth: Jack is the princess and Jill, the tomboy. I never did get used to that, though I applaud Down Among the Sticks and Bones for taking the unexpected route with their names. There’s a seismic shift, however, when the girls arrive in the Moors, where their characters develop in stunningly different ways than their parents had anticipated. Those unexpected developments nevertheless make sense, since McGuire has carefully laid the foundation in the way their younger personalities and characteristics were described. The plot of Down Among the Sticks and Bones is intriguing, and it explores themes of parental expectations, gender roles (it may surprise you which of the girls is gay), and fraught sibling relationships with sharp perception. But it’s Seanan McGuire’s resonant writing that will particularly remain with me. The frequent humor and sarcasm lightens what might otherwise be an oppressively dark story, and the omniscient narrator’s insights into human motivations make for a compelling story. Even though Every Heart a Doorway, to some extent, spoils the ending of this tale ― I still think it might work best to read Sticks and Bones before Doorway, if you haven’t read either yet ― it’s definitely worth stepping through the magic portal with Jack and Jill and tumbling down some (real and metaphorical) hills with them. I received a free copy of this book from the publisher through NetGalley. Thank you!! Childhood dreams are fun to return to, aren't they? Until you remember that childhood isn't always an easy walk through the wildflowers. Until you remember that some of those dreams can turn to nightmares quick as a flash. This was definitely better for me than book one. While I thought book one had the same amazing atmosphere and a fantastic concept, this book had far more solid character work. If any of you remember my review of Every Heart a Doorway, you'll remember that Jack was by far my favo Childhood dreams are fun to return to, aren't they? Until you remember that childhood isn't always an easy walk through the wildflowers. Until you remember that some of those dreams can turn to nightmares quick as a flash. If any of you remember my review of Every Heart a Doorway, you'll remember that Jack was by far my favorite character. While I wanted to love Nancy, I found her a fairly bland character with not much of an arc. I also felt that Every Heart A Doorway had no middle. But this book has both a middle section and significant character work. Seanan McGuire has definitely ironed out the kinks in her novella-writing talent. Jack is probably my favorite thing about this tiny book. She's a mad scientist and she's brave and she's hilarious. I could read eight books about her. The relationships of this tiny book were all so intriguing. I absolutely loved the banter between Alexis and Jack. I also really enjoyed the relationship between Jack and Jill; their character clash is perfectly written. “You come from the same place I do,” said Jill. This book is a lot darker than Every Heart A Doorway. The Moors are not on the same level as Nancy's odd but lovable world. Jack and Jill are in a dangerous, scary world, but they're owning it. I loved the eerie atmosphere to this story; I found this book incredibly unputdownable. I also just really love how feminist this book is. The discussion on how forced gender roles fail is one of the best I've ever seen. One final note before I go: I really desperately need answers on that ending. 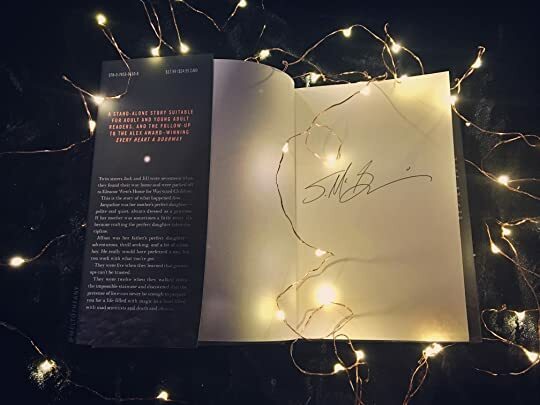 Answer my questions, Seanan McGuire. Please. 4.5 Stars! This was definitely a satisfying sequel. I think I may have enjoyed book one slightly more, but nonetheless, I adore this series and would highly recommend books one and two! I believe it is written in third person-omniscient, which I find is not the most common form of narration in YA. It’s always a bit tricky to get fully immersed at first, being the prose is also quite elaborate and flowery, but I’ve consistently grown addicted to her writing style with both books. I do feel Down A 4.5 Stars! This was definitely a satisfying sequel. I think I may have enjoyed book one slightly more, but nonetheless, I adore this series and would highly recommend books one and two! I do feel Down Among the Sticks and Bones is a tad more complex than Every Heart A Doorway , which I loved! This book deals with the influence of a parent’s wishes/expectations on their children, sisterly dynamics, and identity crisis/development. All themes explored came across extremely well and I believe it differs from so many fantasy YA books for this reason. As a lover of book one, it was interesting to delve deeper into the stories of two side characters before we meet them in the first book (this is a prequel!) I was fascinated reading the development of Jack & Jill, especially since I kept confusing the two of them from their personality from the first book (An obvious, but genius addition to this novella). I was also pleased that one of the main characters is involved in a relationship with another girl in this story – I’m not sure if Every Heart A Doorway mentions this, and I don’t believe her exact sexual identity is stated, but yay for more books with WLW protagonists!! The only thing I feel is lacking in this novel is the plot isn’t as exciting as book one. For most of the story, we examine the relationship and differences among these two girls as they explore their identity for the first time in their lives. There wasn’t as severe of a looming threat like in book one, and I wish there were a few more significant events to propel the story. Really enjoyed learning more about some of the fascinating characters we met in book #1, and exploring a new world! I liked it but not as much as the first one. I'm definitely planning on reading the next one since I want to hear more about the other worlds! Jillian, a tomboy, a diamond in the rough just as THAT ENDING!!! This story offers some great commentary on gender roles and societal expectations of children. Also, how much early parenting can affect a child's feelings of self worth and identity. I genuinely did not think that anything could top Every Heart a Doorway for me, and then this book came in and blew my expectations out of the water. Seanan’s writing is always masterful and poetic, but the underlying messages she wove into this novella made it even more meaningful to me. This, you see, is the true danger of children: they are ambushes, each and every one of them. If you’ve read the first book in this series, you’ll recall the disastrous, eventful time we spent with the twins, Jack and Jill. In this entry, we get to revisit what happened before Nancy met them, starting before their births and leading all the way up to their exit from the Moors. Jacqueline and Jillian are the uncherished children of two busy, haughty adults who wanted dolls, not human beings. Through their upbringings and the effects their parents’ choices have upon them as teens, it feels as though the entire story’s innermost purpose is to remind the reader that children are humans, deserving of respect and love, and that forcing any child into an unsuited mold is a recipe for bleakness and tragedy. The thought that babies would become children, and children would become people, never occurred to them. The concept that perhaps biology was not destiny, and that not all little girls would be pretty princesses, and not all little boys would be brave soldiers, also never occurred to them. 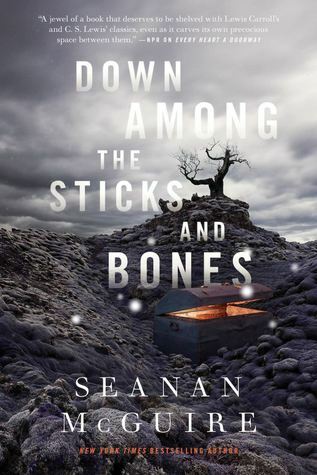 My favorite aspect of Down Among the Sticks and Bones, besides the poetic scenery Seanan creates with apparent ease, is the level of importance it places upon doing away with gender roles and expectations. As twins who are pushed into the most opposite directions possible, we see how each girl is taken so far from who she wants to be, that she will give anything to become her own, autonomous person—even at great cost. The Moors exist in eternal twilight, in the pause between the lightning strike and the resurrection. Lastly (but certainly not least), we get the root of the story: we learn what has happened to create the monsters within Jack and Jill, and what their motives are for the actions that conspire at the end of Every Heart a Doorway. Learning about their upbringings and the things they had done and been put through made me so much more understanding, and put the most shocking and fascinating spin on everything I thought I knew about them from the first book. The trouble with denying children the freedom to be themselves—with forcing them into an idea of what they should be, not allowing them to choose their own paths—is that all too often, the one drawing the design knows nothing of the desires of their model. Children are not formless clay, to be shaped according to the sculptor’s whim, nor are they blank but identical dolls, waiting to be slipping into the mode that suits them best. I know I say this about all of Seanan’s stories, but I truly cannot recommend this series highly enough. It is such a beautiful, dark, haunting, whimsical world full of paradoxes, curses and blessings, and nothing is ever exactly as it seems. I’m already dying to move on to the third installment, and so utterly delighted that she’s been signed for more books in the series, because I truly wish it would never end. I just adore this series. is that a slump approaching at record speed??? Creepy and concise in the vein of the most classic fairytales and with obvious comparisons to classic horror novels, this story has a timeless feel. It's both whimsical and disturbing with a healthy dose of dark humor. It branches off from the brilliant Wayward Children novella series, separate but necessary reading (just because it's that good). It works perfectly as a standalone and although it doesn't have a direct connection to the storyline introduced in Every Heart a Doorway 4.25ish stars. It branches off from the brilliant Wayward Children novella series, separate but necessary reading (just because it's that good). It works perfectly as a standalone and although it doesn't have a direct connection to the storyline introduced in Every Heart a Doorway (for which reason I don't love it quite as much), it really deepened my affection for that book, which was already one of my favorites from last year. There's not much else to say except that I love this series and hope McGuire finds a way to keep it going for a good long time introducing the world to a brand new set of fairytales. Everything from the book covers to the chapter titles is a little slice of perfection. The dreamy storytelling quality of this series is amazing. Some of my favorite audiobooks for sure. Loved the exploration of gender roles and how there's no wrong way to be a girl. There is a f/f romance included. Ughhhhh. Why didn’t I love this book? If there were absolutely any justice in this world at all, I’d be singing its goddamn praises right now. I’d be clambering to rooftops so I could shout my love from them. I’d be buying rhyming dictionaries (or, more realistically, googling rhymes) in order to better write my sonnets. I’d be baking cookies with stick-and-bone icing. Scratch that last one. Sounds gross. But it’s all a moot point, because there is no justice in this world, and instead of doing any Ughhhhh. Why didn’t I love this book? But it’s all a moot point, because there is no justice in this world, and instead of doing any of those things I’m here. Right now. Writing a three star review. The worst kind of review of all. Three stars means there’s nothing distinctly wrong with the book (which there wasn’t) but also it’s not a thrill ride on the level of the film A Quiet Place, or what I imagine it must be like to make eye contact with America’s sweetheart and professional babe John Krasinski (also definitively not that). So here we are. At the “this book was meh” capital of Goodreads ratings. 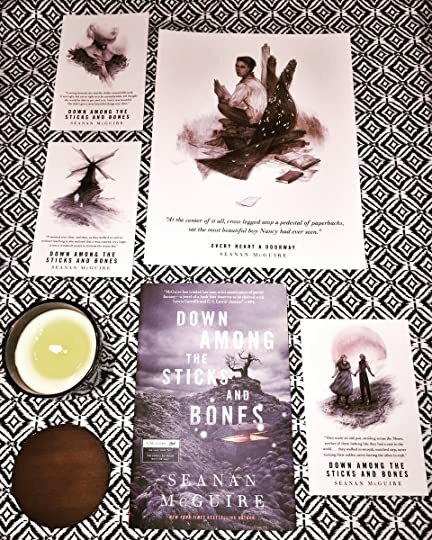 Down Among the Sticks and Bones is the sequel-ish to Every Heart a Doorway, one of my favorite reads of this year (so far!). It’s the more detailed (but still novella-length) back story of two supporting characters from EHaD (horrible acronym), a story we kind of knew already but not completely. These characters are twins named Jacqueline and Jillian. (Like Jack and Jill, you may be saying. NO, say Jacqueline and Jillian’s parents.) Jacqueline was forced into a very feminine gender role, while Jillian was forced into a very tomboy one. As a realistic portrayal of parenthood and appearances and gender, it’s a bit overdone; as a hyperbolized somewhat satiric examination of what gender does to children, it works. In other words: fairly rad in my book. When Jack and Jill discover a hidden stairway to a mysterious world, they’re like, Hell yeah. Let’s do it. And they end up in the Moors, a place containing both immense evil (vampires!) and like, normal sh*t. A village. An inn. You get it. Jack and Jill weren’t my favorite characters in Every Heart a Doorway - in truth they didn’t really stick out to me at all - and their world filled me with the same feeling of meh. Didn’t feel much of any emotion while reading this. The good news about this series is that, to my understanding, all the books are standalone-y and follow different characters. Which is good! Because not loving this book doesn’t mean I can’t love the next one. Bottom line: Not the best ever, but also like...not the worst? And the first book was the best ever so truly just a case of ya win some ya lose some. Read Every Heart a Doorway!!! A great book to kick off the new year! I really enjoyed this one, even if a bit less than Every Heart A Doorway. I definitely hope to get to the next book sometime this year! This book was fine. I really liked the themes and ideas it brought up about parents, expectations put on children. I especially liked the beginning, writing style really fitted the story and but on the other hand, I didn‘t care for the plot. The story line itself wasn‘t that interesting for me and it struggled to keep my attention. It wasn‘t a bad book, but simply not entirely for my taste. As gorgeous and as delicious as the first book. My heart feels full. I love character development, character study so it was awesome to find out more about Jack and Jill who appeared in Every Heart a Doorway. I adore the eerie vibe this series has, how whimsical and dark it is. I believe this world exists. I’m completely enveloped in it whilst I’m reading it. But what I love more is what the undertone of the stories represent for me and as a whole. To be who you are in a world that’s telling you As gorgeous and as delicious as the first book. My heart feels full. I love character development, character study so it was awesome to find out more about Jack and Jill who appeared in Every Heart a Doorway. 4.5 stars! I looooved this! This is such a gorgeously haunting sequel to Every Heart a Doorway. I enjoyed Jack & Jill's story just as much as I did Nancy's. The idea to tell the tales of children who have returned from their own personal fantasy worlds is both unique & nostalgic. It strikes that chord of commonality in all of us who grew up devouring the boundaries of our own imaginations, finding emotional sustenance in the idea that an owl could fly through our window with a letter confirming the magic we always This is such a gorgeously haunting sequel to Every Heart a Doorway. I enjoyed Jack & Jill's story just as much as I did Nancy's. It strikes that chord of commonality in all of us who grew up devouring the boundaries of our own imaginations, finding emotional sustenance in the idea that an owl could fly through our window with a letter confirming the magic we always knew coursed through our veins. McGuire skillfully tethers her audience to her characters by appealing to our sense of empathy. The idea of discovering a world that perfectly suits you & then having it ripped unceremoniously from your grasp evokes a painful kind of compassion. We feel for these children. We are these children. Down Among the Sticks and Bones is an eerie & enchanting installment to the Wayward Children series. It's superbly written with some enduring observations about the importance of letting others decide who they want to be in this life. I would recommend this series for anyone & everyone! This is a story of twins being mirrored darkly, rather messed up by their short-sighted and self-consumed parents, twisted by circumstance and then later by their own choices, this entire novella is a frame and a mirror to highlight the differences between gender expectations and how it can pull a Even though I knew this was somewhat a prequel to the first Wayward Children, I still kinda hoped for more. Great discussion on gender roles and a beautiful but heartbreaking fairytale-like story. Makes me want to reread Every Heart A Doorway now! The thing I wanted from Every Heart a Doorway (EHaD) was more information from the other places the children went. Down Among the Sticks and Bones follows the infamous Jack and Jill from the inkling of a thought about conception to the moment they were kicked out of the Moors. Jacqueline and Jillian were not what I expected them to be. As sisters and twins to boot I thought that even in the Moors they would be thick as thieves especially after we see them at the Asylum/School in the previous book. But that isn’t want they were at all. They were practically strangers in a land where you would think they would have held tight to the only thing they still had from the world they left. The Moors is fascinating because it is almost a land out of a Shelley novel. It reminds me of Frankenstein and Dracula movie that were in black and white. There are worlds built on rainbows and worlds built on rain. There are worlds of pure mathematics, where every number chimes like crystal as it rolls into reality. There are worlds of light and worlds of darkness, worlds of rhyme and worlds of reason, and worlds where the only thing that matters is the goodness in a hero’s heart. The Moors are none of those things. I liked the EHaD a little more just because of the chaos and all of the different possible worlds you could end up in if you just opened the right door at the right time. But I also liked seeing Jack in her element as she apprenticed to the good Dr. I appreciate that her romantic interests were different than many characters in stories. 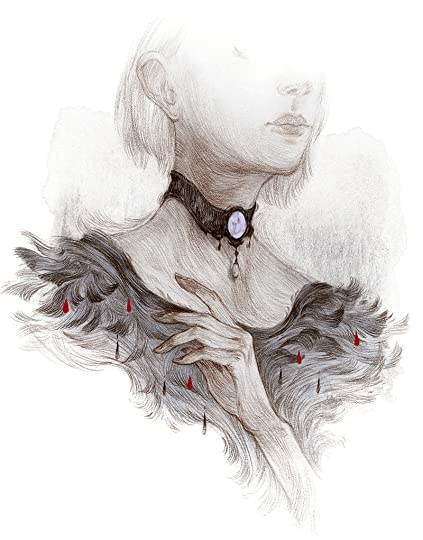 This was the character fleshing out I wanted to see in the book and now I fully understand the sacrifice that Jack made to stay with her sister and it made me like her all the more. Down Among the Sticks and Bones is the back story of the twins, Jack and Jill, and the dark world they wandered through. It takes place before the events of the first book in the series, Every Heart A Doorway. The reader learns why the twins are so different and how their strange and disturbing other world opened its door to them in the first place. The majority of the problem was Jack and Jill's parents. They had children for reasons other than love. 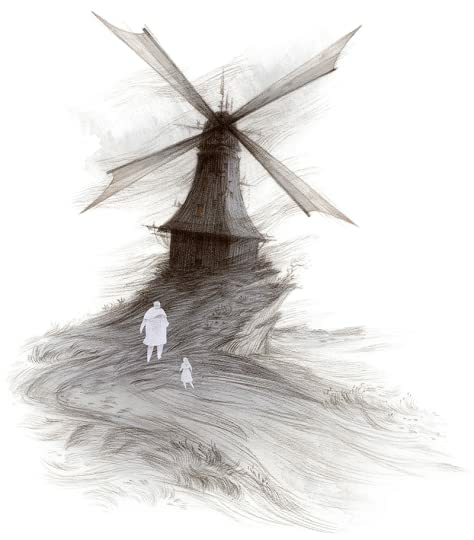 The father wanted to children to move up in his Down Among the Sticks and Bones is the back story of the twins, Jack and Jill, and the dark world they wandered through. The father wanted to children to move up in his career. The mother wanted to improve her status with her group of female friends: "A person may look at someone else's child and see only the surface, the shiny shoes or the perfect curls. They do not see the tears and the tantrums, the late nights, the sleepless hours, the worry. They do not even see the love, not really." pg 13. So, instead of loving Jack and Jill for themselves, their parents instead seek to mold them into a perfect of ideal of what they thought their children should be. The one bright spot in the twin's childhood is their grandmother, Louise Wolcott. Chester and Serena, Jack and Jill's parents, call her in desperation after the birth of the children because they have no idea what they're doing or how to balance their careers while raising children. Louise steps in without complaint. She is quite easily my favorite character in the book: "There's nothing tiring about caring for children you love like your own," said Louise... pg 34. Despite Grandmother Louise's best efforts, Jack and Jill end up fairly emotionally stunted from their parents' dysfunction. The twin's discovery of another world leads to some hard lessons about love, belonging and consequences. "The Moors were beautiful in their own way, and if their beauty was the quiet sort that required time and introspection to be seen, well, there was nothing wrong with that. The best beauty was the sort that took some seeking." pg 171. I enjoyed this story. But, I think it should have been combined with Every Heart A Doorway. I felt like so much of the plot of this book was given away in the first, by what happens. It would have been more enjoyable to learn about Jack and Jill's Moors in flashbacks rather than a separate story. That being said, it is a good enough young adult tale for what it is. The fairy tale quality to it is undeniable. Recommended for readers who like a dark undercurrent of emotion, coming-of-age and self knowledge in their fairy tales. I am so in love with this book (series)! Honestly, it's not every day that an author brings true magic into our world, but Seanan McGuire does just that with the Wayward Children. This second story is a prequel to the first, telling of the events leading to Jack and Jill finding their door, what happens in their world, and how they were thrown out in the end. First we follow the twins' parents as they come to wanting children in the first place, followed by the pregnancy, birth, the girls' first I am so in love with this book (series)! Honestly, it's not every day that an author brings true magic into our world, but Seanan McGuire does just that with the Wayward Children. First we follow the twins' parents as they come to wanting children in the first place, followed by the pregnancy, birth, the girls' first 5 years and then the rest until they find their door when aged 12. The truly shining part was the description of their world however. As bleak and as looming and dangerous as it was, it was fantastic! We follow Jill through 5 years of living in the castle with the Master while her sister Jack works as the Doctor's apprentice. We learn of their world's rules and inhabitants but mostly about the girls themselves. Because I've seen some people recommend this second book to other people to read first, a warning: don't do that or there will be major spoilers for the first volume. I mean, the mystery in the first was fairly obvious, but beginning with this one would make it too obvious. There are way too many wonderful lines in this book for me to quote here so I will just add the quotes separately. Suffice it to say that every person was real and alive - some were infuriating, some got my pity and some I sympathized with. Knowing (roughly) what would happen did not slow or marr the story for a second; the events still unfolded as beautifully and tragically as imaginable. The prose was elegant without being pretentious (just like in the first book) and the wisdom packed into such a short book was staggering without being overwhelming. Again, we had big social themes such as lesbianism, child care, emotional abuse, and victim-blaming bound up lightly in a pretty ribbon. But we also had more "quiet" themes such as finding your true self, trying to stay true to yourself and finding a place where you belong. Because after the children are born, they are forced into gender roles (think girly-pink vs. baby-blue) and the only good influence in their life is not only taken from them but HOW the parents do it is simply despicable. Honestly, some people shouldn't be allowed to have kids! Thus, many of the things happening to the girls are the direct consequence of what Jack and Jill's parents did to them in their early years. The unfairness, of course, is that the parents won't suffer the consequences, the girls do. It's part of what makes this tale so truly tragic. Interesting was also the fact that (view spoiler)[the Master never needed to use violence to show how dangerous he was (we saw that through Jill's development, which goes to show how monsters can be created relatively easily through emotional manipulation) while the Doctor didn't have to make great declarations of love to show that he actually cared (though he was not just the light to the Master's darkness either). (hide spoiler)] Just like I very much liked the scene when the author (view spoiler)[tells us that we leave Jill and Alexis, basically telling us that great violent scenes are not needed to grasp the horror of what had happened (hide spoiler)] because it is true of course. Down Among the Sticks and Bones is McGuire's second foray into the Wayward Children series and it is excellent. Seanan McGuire managed to hit this eerie, ominous tone she maintained throughout that made it tense, and the entire world was interesting, and endearing in it's creepiness. I should have liked this as much as book one, but it was missing one key ingredient that made me love book one: humour and charm. Here's the thing: I can see why people prefer this to book one. It's much more mature, explores it's characters much better, and overall presents a more interesting setting. Jack is a delightful character to follow, and Jill is unconventional despite being "traditionally" feminine. But I didn't like it as much. But these criticisms aside - I loved this book. Following Jack was wonderful, she's my favourite character in this series beside Kade. She's a mad scientist and brave and COOL and just not your typical heroine? But she rocks and I love her. Jill is not followed as closely, but I did love her scenes. I especially loved the relationship between Jack and Jill and how it was shown to change, develop and eventually dissolve. The complex push and pull between the sisters and shifts in their relationship was well done, especially when you consider how short these books are. I simultaneously love and hate the length of these books. Love, because McGuire does so much with her page length. She gives her stories and her characters impact in a short page span and it works. Thse books have got spark and ooft factor without ever being tedious. This is definitely worth reading after Every Heart a Doorway. It's feels so different to the first book, and yet is also a perfect companion. Jack, Jill and their world are incredibly interesting. The Moors has got to be some of my favourite worldbuilding ever. It's whimsy, weird, unrealistic and yet somehow so rich it feels it could be real. I also think Seanan McGuire really did something unique with the Moors - she took some tropes and things you'd never expect to go together - vampires, mad scientist, wind mill houses and castles and made it into this rich, ominous world that feels so real and so right. Also - lets talk Audiobook. I always listen to these on Audio. Seanan McGuire narrates this song and I did not like it as much as the original narrator (Sorry Seanan). I think this also may have impacted my choice to knock a star. HER NARRATION IS STILL GREAT. Just not the perfection that was book one. Overall, I adore this series. Down Among the Sticks and Bones wasn't my favourite, but it's good. It's got some really great themes and concept and incredible tone - and if these keys are gonna hit you then you'd probably like it more than book one. This was fabulous! Much better than Every Heart a Doorway—though, that one was good too, only this was so much better! There wasn’t much I didn’t like about this tiny book (It’s under 200 pages). From the beginning I loved Jack and Jill and their sweet grandmother. I loved how their parents called them Jacqueline and Jillian because nicknames aren’t “proper” or whatever & how their parents wished they could’ve changed the names because Jack was the proper one and Jill was the rambunctious one. I thought that was funny, and I especially enjoyed the twist in story when their names finally came to “fit” their personalities, once they’d walked through the door. Everything about this story/gothic fairytale was so imaginatively real! I swear, I’m waiting for my door now — though, I know I’m too old. Darn! Reasons I didn’t give this a full 5 stars is because, for one, it’s too short! I felt like the story had good pacing until the very end. The conclusion could’ve had more pages, because the action and resolution felt rushed. Other than that, everything progressed perfectly and I loved this story. Honestly, I really wish the ending could’ve been longer. Another plus (I feel like this review is all over the place), is how there wasn’t a “happy ending.” I know, you’re probably like, “How can you like an un-happy ending! ?” Well, it wasn’t un-happy … rather, it wasn’t ideal. It was a more realistic ending is what I’m trying to say. A normal children’s fairytale would’ve ended with a happy ending. This one ended with Jack and Jill not getting killed, and that’s pretty much the entirety of the so-called happy ending.